The MICRO-START Clampless Harness was made so that a rider or driver can easily jump start their vehicle using just the MICRO-START without the need for the clamps, or having to remove the seat on your motorcycle. 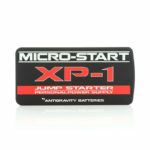 It is a 12″ (300mm) harness that connects directly to the battery while the other end can plug directly into the MICRO-START’s jumpstart port. It adds convenience and saves time if the situation arises when you have to jump-start your vehicle. 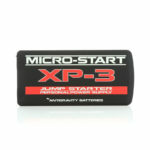 Simply connect the MICRO-START directly to this harness and jump-start your vehicle without having to use the MICRO-START jumper clamps!